Forget Bucket Bags. This Summer, Carry a Birdcage.Oscar de la Renta offers a new accessory hot enough for the Hot Duck. Marc Jacobs Keeps the Volume Turned UpThe designer commits to size, and convinces. Plus: Effortlessly modernized de la Renta and muddled Kors. The Quirky Puritanism of the Olsen TwinsThe former child stars more than proved themselves as designers. Plus: Searching for hotness at Lam and de la Renta; good-bye to Carolina Herrera. This Is the Prettiest Glitter Makeup You’ll Ever SeeHere’s how you can get the look. Reinventing de la Renta; Leering at Helmut LangYoung designers find fresh takes on storied brands. Plus: lush minimalism at The Row. Go Backstage at Carolina Herrera and Oscar de la RentaPlus reimagined menswear at 3.1 Phillip Lim and Prison Bae at Helmut Lang. The Oscar de la Renta Designers Have Opposite Tastes, and It WorksLaura Kim says tomayto, Fernando Garcia says tomahto. Backstage Scenes With Marc Jacobs and Hillary ClintonAn insider’s view of New York Fashion Week, day eight. 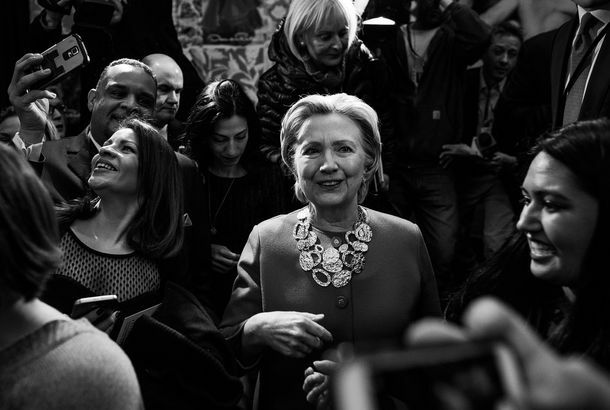 Hillary Clinton Suggested We All Re-Read the ConstitutionShe got political at Oscar de la Renta’s stamp dedication ceremony. 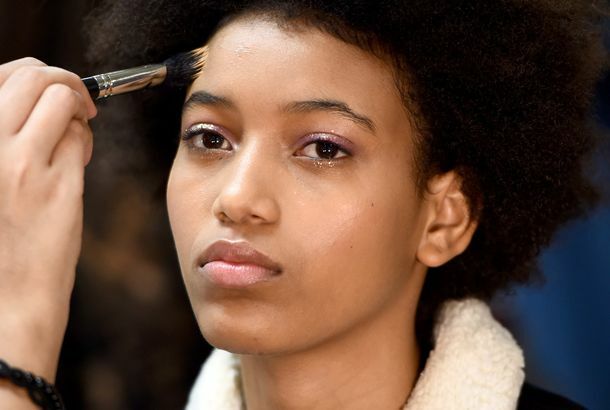 5 Backstage Beauty Lessons You Can Actually UseHow to make your black eyeliner actually stay put. Huma Abedin Watched Bella Hadid Walk the Monse and Oscar de la Renta ShowRobert De Niro narrated an immigrant story for the opening soundtrack. Carolina Herrera and Oscar de la Renta Settle Dispute Over Designer Laura KimThey reached a confidential settlement over the ODLR incoming designer. Carolina Herrera Is Suing Oscar de la Renta Over Incoming Designer Laura KimHere’s why. ’70s-Socialite Style Goes Digital at Thom BrownePlus: Excellent collections from Altuzzara, Proenza and Herrera. Laura Kim, Fernando Garcia Return to Oscar de la Renta as New Creative DirectorsThe duo, who founded Monse after leaving De la Renta, will succeed British designer Peter Copping. Peter Copping Unexpectedly Departs As Creative Director of Oscar de la RentaPeter Copping’s sudden departure comes less than two years after he took up the position. Is Michelle Obama Wearing Purple for Prince?It really looks like it. Inside a Retrospective of Oscar de la Renta’s Most Sumptuous DesignsCurrently on view in San Francisco. 10 Bold Statement Earrings to Wear This SpringFeathers, fruit, and bright curlicues. Who Will Lead American Fashion?The industry needs a challenge. Oscar de la Renta has lost its way; Narciso Rodriguez tests himself with sportswear. Watch the Oscar de la Renta Show LivestreamEnjoy! The Oscar de la Renta Alum Remaking Ann TaylorThe spring collection was a pleasant surprise. 5 More Backstage Beauty Lessons to Try at HomeLike a new way to use your curling iron. Sophie Theallet’s Elevated Triumph; Narciso Rodriguez’s DecisivenessThese collections succeeded for reasons that go to the heart of what makes fashion feel alive and contemporary. Watch the Oscar de la Renta LivestreamEnjoy! Peter Copping on Oscar de la Renta: ‘Fashion Moves Quickly’The designer is profiled in Vogue’s new issue. The Best, Worst, and Most Rihanna Looks at the Met GalaGiant headdresses, occasional plumage, and so many trains. Anna Wintour at New York: The Art SceneShe got Jean-Michel Basquiat to make a custom painting for a fashion shoot. A Full Oscar de la Renta Retrospective Will Open Next YearAt the de Young Museum in San Francisco, curated by André Leon Talley. ODLR Is Counting Down to Peter Copping’s DebutThe first installment was released today. Charlotte Gainsbourg and Rosamund Pike Partied in L.A.Along with Catherine Deneuve, Jennifer Connelly, and more. Remembering Oscar de la Renta’s Legendary Career A new show at SCAD pays tribute to the late designer.